The United States Postal Service has announced that as of May 16, they will no longer deliver a wide assortment of electronics to consumers overseas. Any device that has a lithium ion battery falls under this ban, including tablets, smartphones, laptop computers and digital cameras. It is thought that lithium ion batteries shipped when fully charged or not correctly stored or packaged could be a safety risk. Fast Company says that lithium ion batteries are believed to have caused at least two deadly cargo plane crashes in the past six years. One such crash happened in 2010 when a UPS cargo plane crashed roughly an hour after takeoff near Dubai. The ban will likely have a large impact on US soldiers stationed overseas. 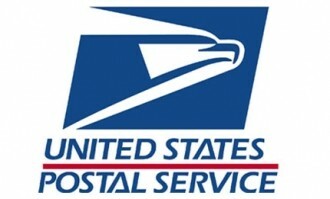 USPS’ Military Priority Mail rate is far cheaper than any of the competition and furthermore, they are the only carriers that deliver to Army Post Office and Fleet Post Office installations. Those wishing to send electronic gadgets to their loved ones will have to figure out a workaround. UPS, FedEx and DHL are all viable choices but none of them deliver to military mailboxes. It seems the only way around this hurdle is to have packages shipped to a residential address then arrange pickup or delivery from that point. Shipping rates for alternate delivery companies typically cost more than $20. The USPS says they may change the rules for APO and FPO packages containing lithium ion batteries next year. We have included a list of common items that contain lithium ion batteries, as per the USPS.